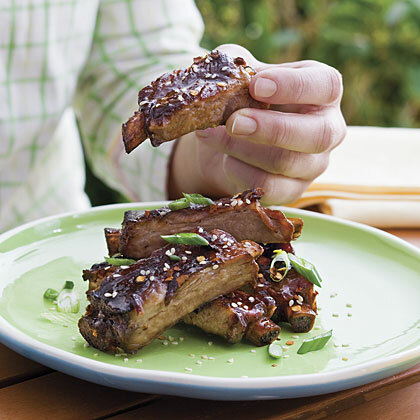 Bake these sweet and spicy ribs up to 2 days ahead. Then simply reheat and broil before serving. 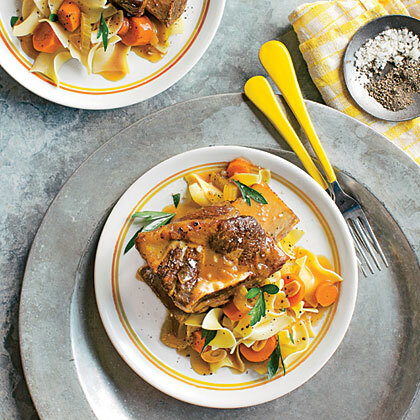 These Asian short ribs get their great flavor by slow-cooking in a mixture of soy sauce, brown sugar, rice vinegar, garlic, ginger, and red pepper. 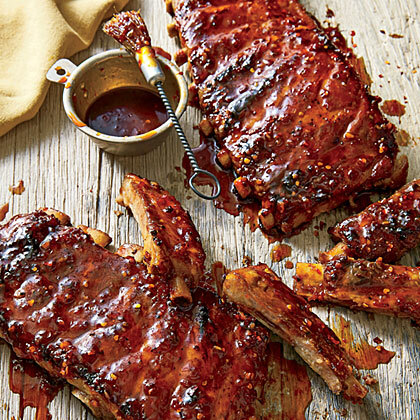 These spicy country ribs are meatier than baby-backs and tend to have fewer bones. 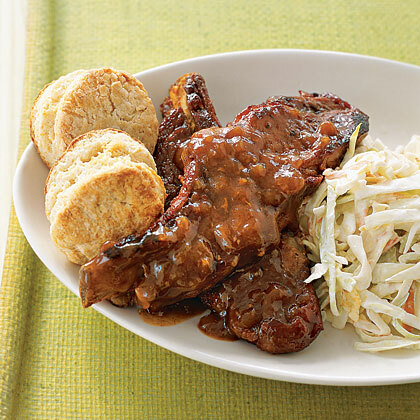 Serve them with biscuits and coleslaw on the side. 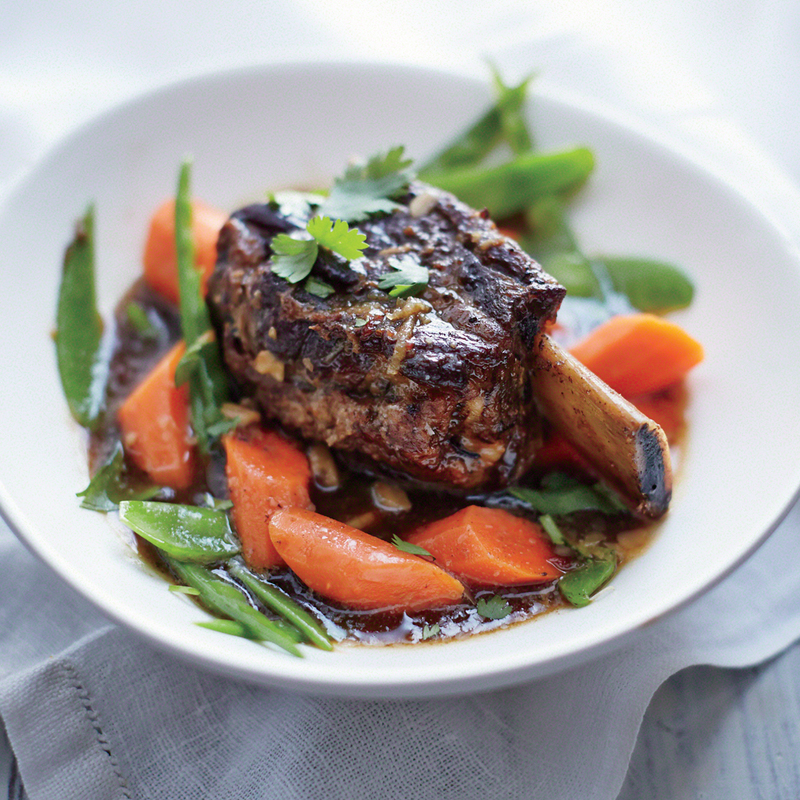 Low and slow is the key to achieving irresistible fall-off-the-bone ribs. 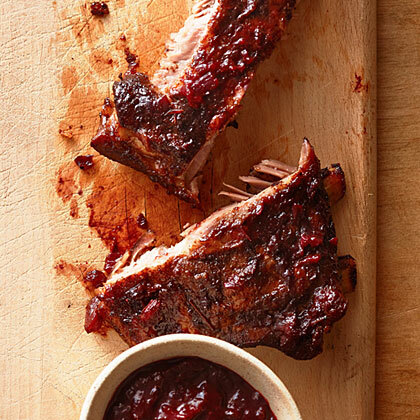 These smoky and spiced recipes will make you an instant pit-master and neighborhood star. 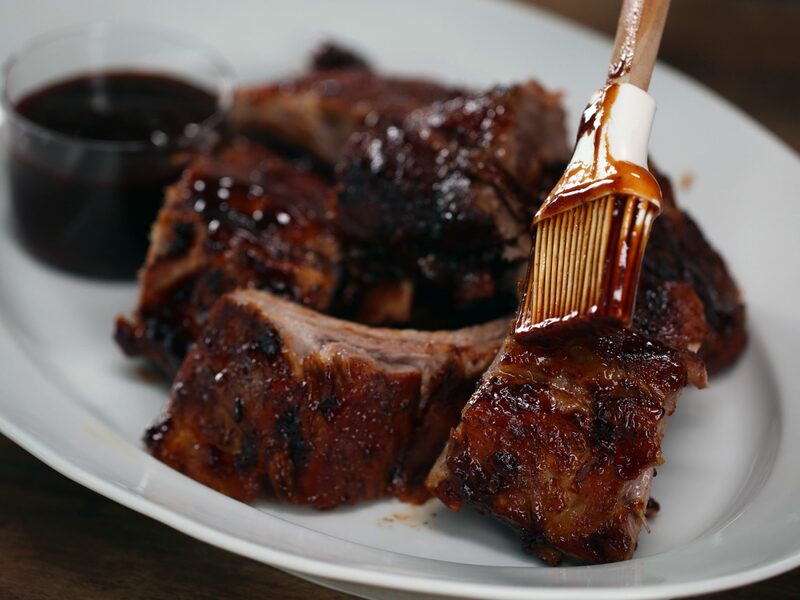 Be sure to slather your ribs with a rich and tangy barbecue sauce for an award-winning finish. 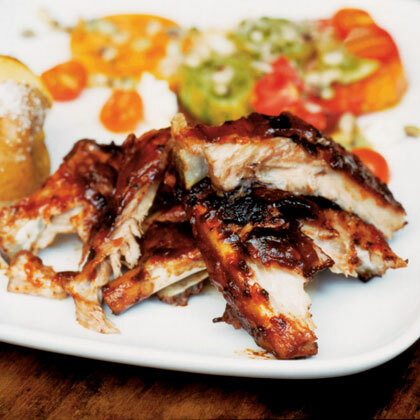 Notes: These ribs were part of an August 1993 story on Texas barbecue, where barbecue means slow-cooked smoked meats with sauce. 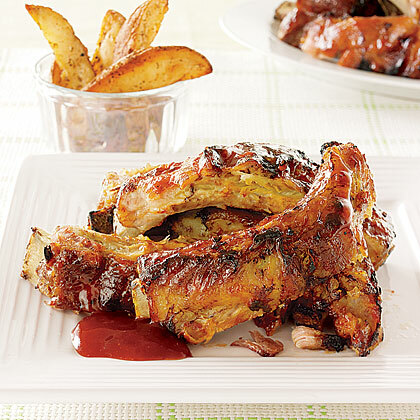 Back ribs are cut from the pork loin; sometimes they're called baby back ribs. 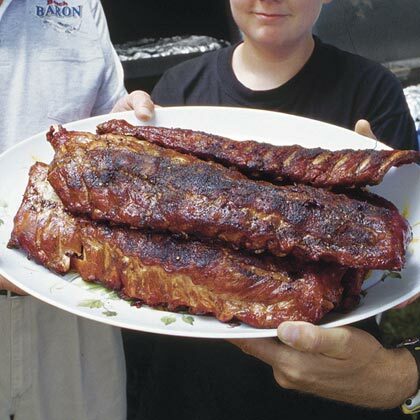 Metal rib racks are available where barbecue equipment is sold. 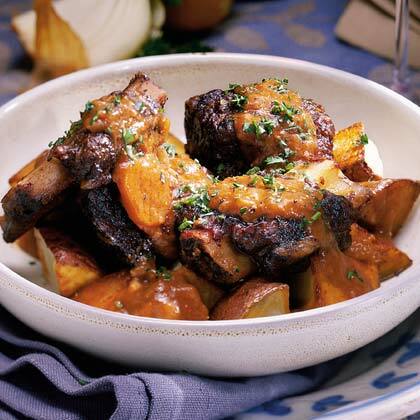 Braising beef short ribs in a mixture of red wine, beef broth, tomato paste, herbs, and vegetables makes them unbelievably tender. 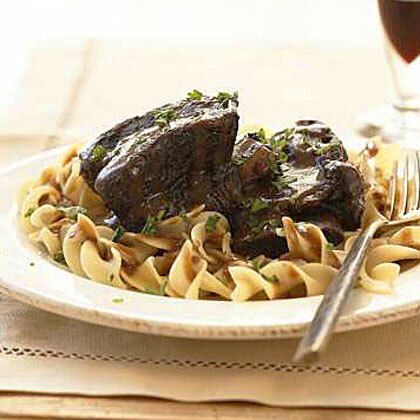 Serve with cooked egg noodles and a homemade pan sauce. This recipe, from chef David Kreifels of Laurelhurst Market in Portland, strikes the perfect balance between smoky, spicy, salty, and fruity, whether you track down huckleberries or use blueberries. He cooks his ribs in a smoker, but we've adapted the recipe for a grill. You'll need applewood chips, sold with grilling supplies, and a drip pan. Notes: Have the ribs sawed into pieces at the market. 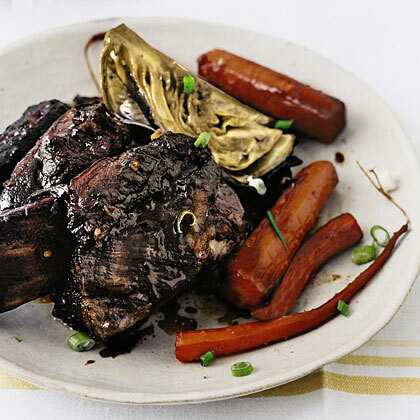 Serve ribs and juices with hot cooked jasmine rice.